the 2,000 most commonly requested parts from launch, with more to follow. 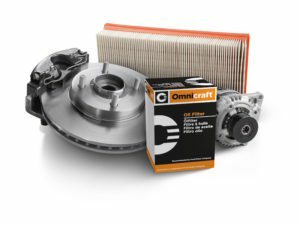 Ford dealers in Europe can now offer servicing and parts for all vehicle makes following the brand’s launch of a new Omnicraft brand of replacement parts. Said to offer competitively priced, quality components, the new brand will initially cover the 2,000 most commonly requested parts, including oil filters and brake pads, with more to follow. Ford said the move enables its dealerships in Europe to be a one-stop provider of parts that better serve used vehicle outlets, fleet managers and independent garages. Drivers taking their cars abroad are being reminded that they need to check up on the local rules of the road. Fleet drivers taking their cars to Europe this summer are being urged to familiarise themselves with the relevant motoring regulations and laws. The call comes from Venson, which is reminding drivers of leased vehicles that they will need to complete a VE103b form before they take their company car to Europe to provide formal confirmation that they have permission from the owner. 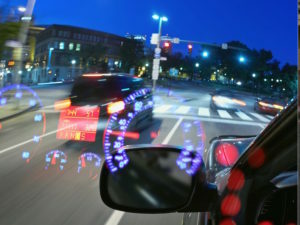 As well as urging drivers to check up on the local rules of the road through websites such as the AA and RAC, Venson also says they should ensure their vehicle’s service schedule is up to date, that they have valid breakdown cover for Europe and that they have carried out the usual vehicle maintenance checks. Paul Noon will be responsible for fleet operations at all of the group’s Volkswagen sites. Paul Noon has joined Yorkshire-based motor group JCT600 as the new head of fleet for its Volkswagen division. Noon joins JCT600 from RMB Automotive in Stockton where he worked as corporate sales manager. He previously spent 11 years at Benfield Motor Group, latterly as group corporate sales manager, and has also 10 years’ experience as purchasing manager for JCT600 Contracts. 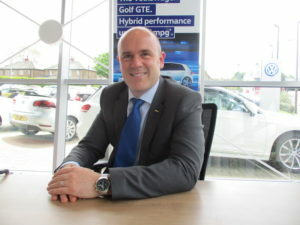 In his new role, he will be based at JCT600’s fleet hub at Volkswagen Bradford, but will be responsible for fleet operations at all of the group’s Volkswagen sites including overseeing the sales and sales support teams and supporting the local business development managers in winning new clients as well as managing existing accounts. Concept’s new website enables users to easily filter leasing deals to meet needs. Concept Vehicle Leasing has launched a new mobile-friendly interactive website, designed enable users to quickly find their perfect lease option. 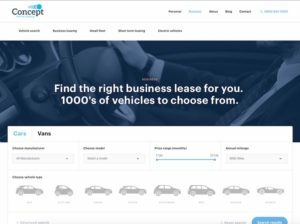 Visitors can choose between business lease and private contract options, with business lease users able to gain addition info on managing small fleets and the option to generate an instant quote for a 30-day plus short-term lease, which the company says is seeing growing take-up among its customers. Users can also easily add options, tweak the contract hire terms and the initial rental and filter options based on fields such as vehicle type, P11D, CO2, fuel and budget. Nissan is already working on solutions to improve energy network capacity, including Vehicle-to-Grid (V2G) technology. Electricity operator Northern Powergrid is to work with Nissan on developing new solutions to support energy networks. 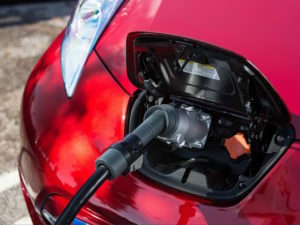 The two firms have signed a Memorandum of Understanding (MOU) to work together on a range of projects over the next six years, including looking at how electric vehicles, batteries and other technologies can support energy networks in meeting future needs. 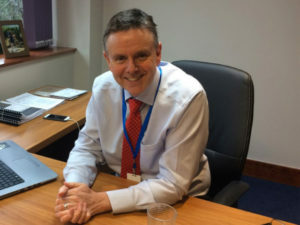 Jim Kirkwood, CEO of TTC Group. The London Stock Exchange has recognised the TTC Group in its 2017 list of the top 1,000 companies “to inspire Britain”. The TTC Group, which educates more than 350,000 each year to reduce road casualties, was chosen for the third year running by the London Stock Exchange which identifies the “most dynamic” small and medium sized enterprises with high growth potential in the UK and Europe. Europcar UK is one of 15 companies to achieve the Platinum level Investors in People accreditation. Europcar UK has achieved the Investors in People (IIP) accreditation at Platinum award level for its station network. The company is one of only 15 in the UK to achieve the new Platinum level and was commended for its extremely supportive and nurturing management attitudes, as well as positive interaction between colleagues across the business.